Let’s grow your business and make it successful with this creative Business WordPress theme! 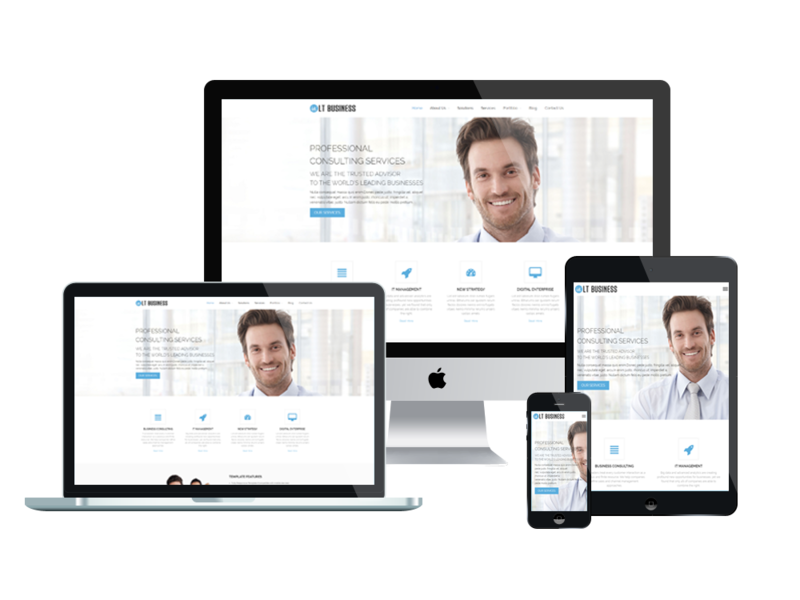 LT Business Onepage is free single page version of LT Business WordPress Theme (multi-page).The theme shows off an elegant which is definitely a remarkable way to power your online business. 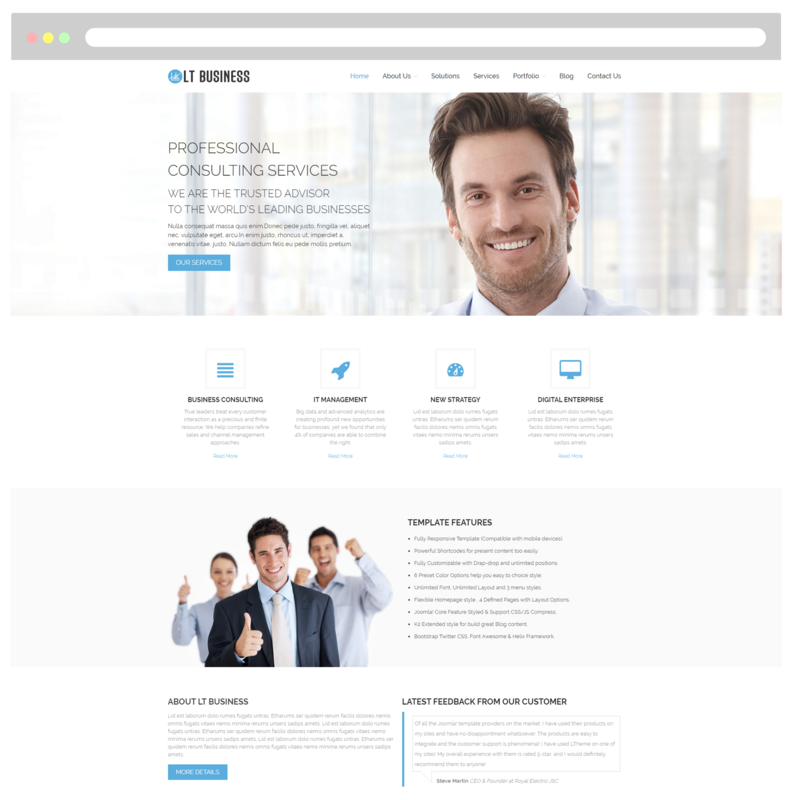 This is a professional theme for kinds of businesses to showcase their company and promote services such as plans, strategies, projects or teamwork… Business WordPress theme displays really well on any mobile devices with 100% responsive layout, with Bootstrap CSS, Hybrid framework and drag-drop layout content integrated. 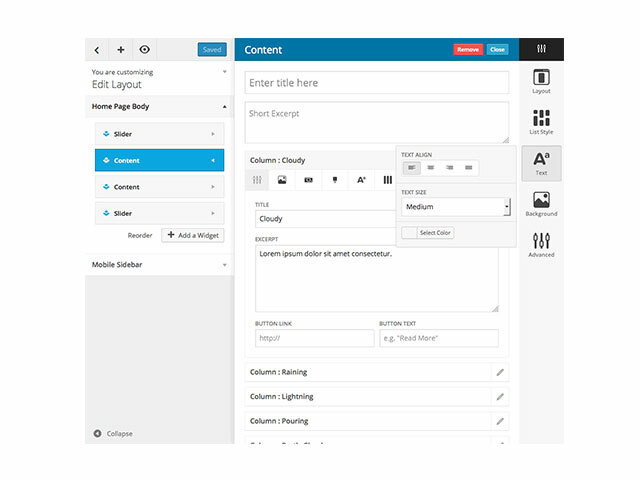 Unlimited colors and admin panel color picker will make you satisfy with LT Business Onepage! Now, grow your business with this creative theme!